Subramanian Swamy had alleged in 2016 that Shaktikanta Das was involved in a shady land deal in Chennai. 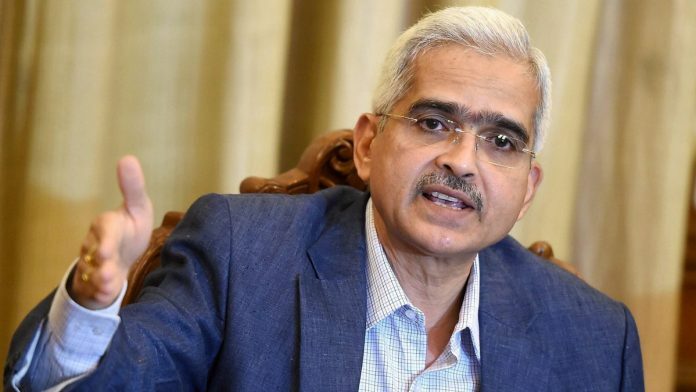 New Delhi: Shaktikanta Das, the former civil servant who took over as the governor of the Reserve Bank of India Wednesday, can expect to be in the crosshairs of critics in his new, high-profile job from the word go. And some of those critics are within the ruling BJP establishment. Das, a retired Tamil Nadu cadre IAS officer of the 1980 batch, is considered to be close to finance minister Arun Jaitley. He served as the secretary in the Department of Economic Affairs as well as in the Department of Revenue in the finance ministry for a combined period of three years under Jaitley. During his stint in the finance ministry, Das was accused by Bharatiya Janata Party (BJP) MP Subramanian Swamy of involvement in a controversial land deal in Chennai when he was posted in Tamil Nadu. “Shaktikanta Das involvement in a controversial land deal in Chennai, 100 acres allotted at a pittance https://www.pgurus.com/shaktikanta-das-involvement-controversial-land-deal-chennai-100-acres-allotted-pittance/ … via @PGurus1”, Swamy had tweeted in July 2016, with a link to PGurus, a right-wing website. The tweet is back in circulation since his appointment was announced Tuesday. Das’ academic credentials are also being questioned by a few economists and financial market participants. Reason: Unlike his predecessors, Das has no economics background and holds a master’s degree in history. This was not the only instance where Swamy attacked a serving finance ministry bureaucrat either. Swamy is a known baiter of Jaitley and has often thrown barbs at the finance minister and other senior government functionaries who are perceived to be close to him. But the BJP and the Modi government have been tolerant of his actions. Swamy has attacked Hasmukh Adhia, who served as the secretary in the Department of Financial Services and the Department of Revenue. Swamy alleged that Adhia was responsible for jewellers Nirav Modi and Mehul Choksi fleeing India, and also accused him of setting up of Goods and Services Tax Network — the information technology backbone of GST — as a private company rather than a government-owned one. However, when Urjit Patel resigned as RBI governor on Monday, Swamy was among the few in the ruling party who said that Patel’s departure was not good for the economy, government or the central bank. S Gurumurthy, a director in the RBI’s central board, said that Patel’s resignation is a setback to the convergence of views that was happening between the central bank and the government. However, the appointment of Gurumurthy to the RBI board in itself was seen as an attempt by the Modi government to impose its views on the central bank and influence its policies. Gurumurthy has faced allegations in the past that he owns the website PGurus. However, PGurus’ Sree Iyer, who describes himself as an author and inventor, has denied any link to Gurumurthy, and says he is “proud to be a friend of Dr Subramanian Swamy and Gurumurthy”. How Gurumurthy will get along with Das on the RBI board is another question that’s worrying some financial experts. Gurumurthy did not respond to calls and messages from ThePrint seeking his comment for this report. Notwithstanding the doubts expressed over his appointment, Das took charge on Wednesday and held his first press conference as RBI chief a few hours later. Outlining his priorities, Das said he would try to uphold the RBI’s autonomy while taking along all stakeholders. He added that the 14 December board meeting of the central bank would take place as scheduled. Unlike his predecessor who had not acknowledged that there was a liquidity crisis, Das said he would hold stakeholder consultations on the issue. Das also said he would hold a meeting with all state-run banks to understand the problems faced by them, including lending. “I will try to take decisions that are in the best interests of the Indian economy,” he said.